5 Bedroom Detached House For Sale in Tunbridge Wells for Guide Price £700,000. The property is situated on the outskirts of the village of Blackham in a private, gated close. With a beautiful rear garden larger than most in the close offering substantial borders making for an incredibly private feel. Views over the countryside give the feeling of peace and tranquility. With a double garage accessed via the garden and the driveway with power and lighting already added. 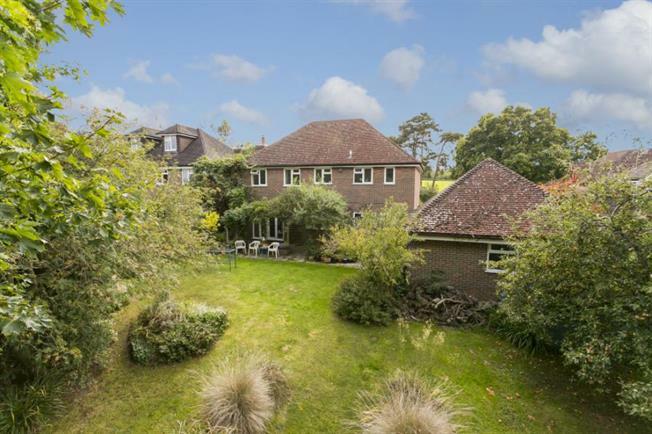 The house sits at the back of a small gated development of just 6 properties in Blackham; a picturesque hamlet located about 6 miles to the west of Tunbridge Wells and about 8 miles to the east of East Grinstead. Designated an Area of Outstanding Natural Beauty; it consist of a variety of houses and farms along with a popular golf course and an extensive network of public footpaths and bridleway.